If you are working so hard in order to provide your family the comfort and luxury they needed, it is high time that you should take a break and spend a quality time with them. 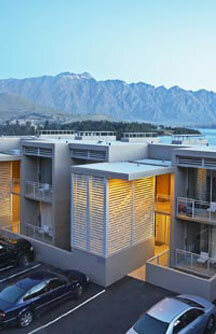 Take a look at the scenic view of Highview Queenstown Apartment below. Isn't it gorgeous and so relaxing? This is an awesome place for a getaway amidst the hustle and bustle of your workplace. Of course, you should share this great location to your family and love-ones. This apartment has the perfect location if you are looking for tranquility and relaxing time with your family. The scenic view is just awesome! What you see from your bedroom window are the great view of the Lake Wakatipu, the Queenstown Bay and the mountain ranges. Highview Queenstown Apartment not only offers a great scenic view from the bedroom window, it also provides the renter the luxury living too. It has a patio, a great place to enjoy an afternoon coffee break with this magnificent view. It has a great kitchen and has a laundry area, a comfortable king-sized bed; a good size fully furnished living room; under-floor and panel heating and more. The apartment has a private outdoor spa; barbecue area with outdoor furniture; direct access to local businesses and a walking distance to the town. That is the most important feature why this apartment is great, perfect location! 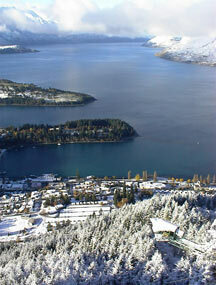 Did you know that Queenstown Airport is just 8 km away? All you have to do now is book your travel to New Zealand and stay in this great apartment. When you travel to New Zealand, you can always get your car at auckland airport rental cars and for sure, finding this place is so easy.